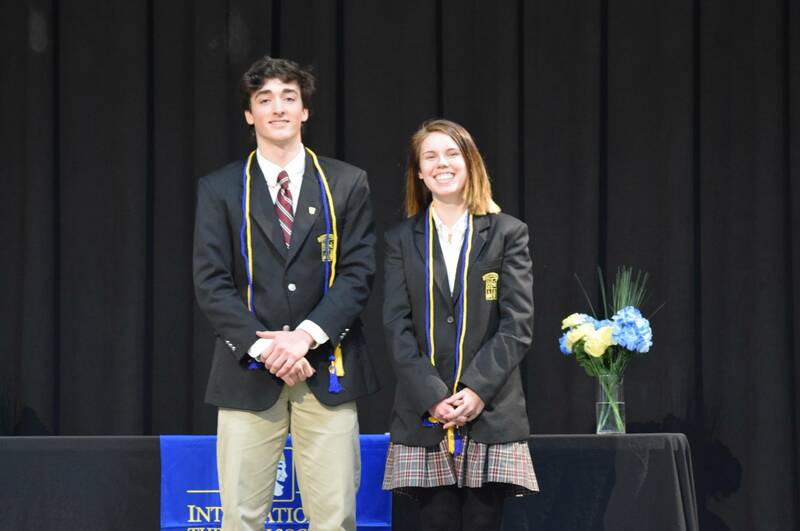 Everest Collegiate inducted 17 members into our newly charted International Thespian Society, Troupe #8546, on February 15. 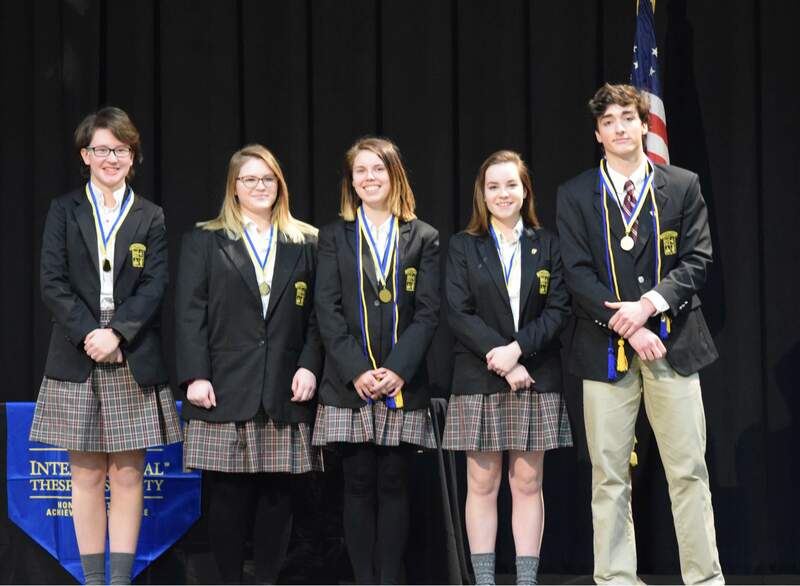 Founded in 1929, the International Thespian Society is an honor society for high school and middle school theatre students. 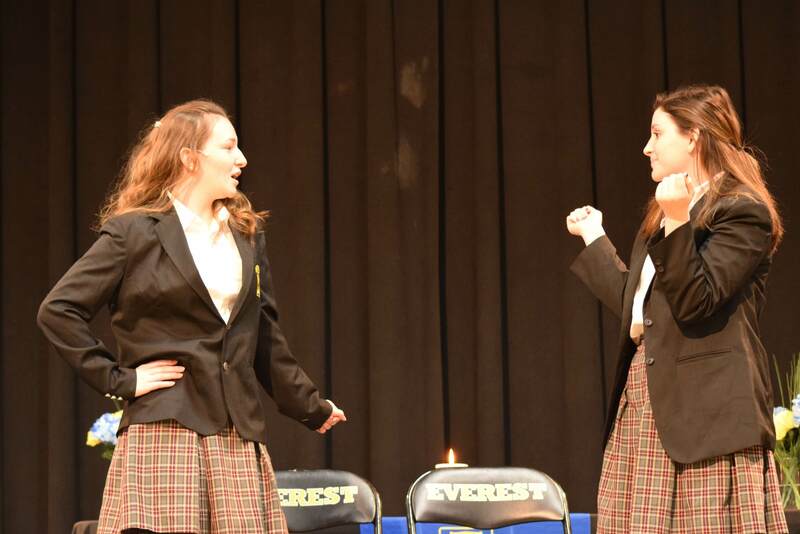 In addition to the member induction, the students presented the performance they gave at the Michigan Thespian Festival in December (https://everestcatholic.org/2017/12/19/performing-arts-students-attend-thespians-festival/). Congratulations to the inductees!